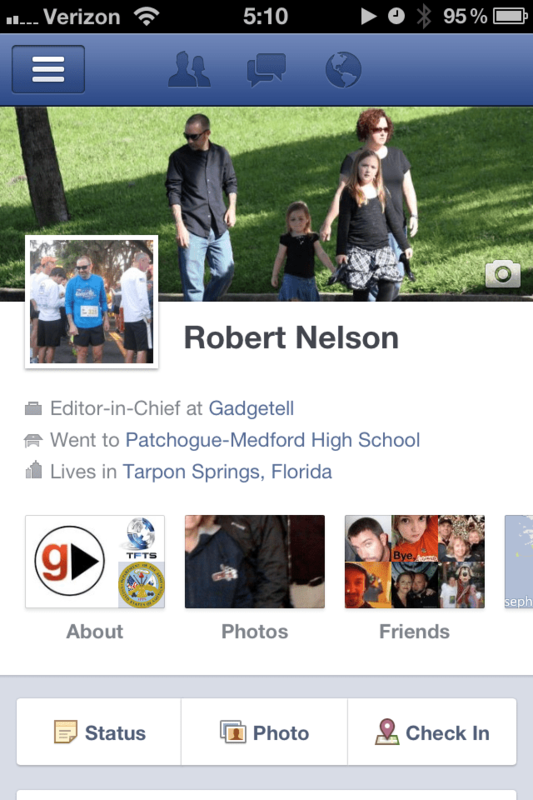 Facebook cover photos were introduced as part of the social network's big redesign in late 2011. A Facebook timeline cover photo is a large horizontal image that appears across the top of each user's profile page, which is known as the timeline. Timeline cover photos are basically the same for both regular users and businesses who have Facebook pages. Each user also has a separate profile photo, which is a smaller image that appears right below the cover image, slightly inset into the large cover photo. The smaller profile picture appears beside your name in the newsfeeds of other users whenever you send a status update or take an action that triggers an update for your friends. A Facebook cover can be a photo or other graphical image. It is meant to make a visual statement about the person or company using Facebook because it's the first thing other people see when they visit any user's profile or business page. Facebook cover images are public by default, and you can't make them private. Anyone can see them, not just your friends or subscribers. Facebook cover pictures are very wide: 851 pixels wide and 315 pixels tall—more than twice as wide as tall. That's also a lot bigger than the square profile picture, which is 161 pixels by 161 pixels. Because most cameras don't have an aspect ratio anywhere near the size of the cover photo, you need to crop your image to be the right size for a Facebook cover photo. Open the photo in a photo-editing program (such Photoshop) and select the crop tool. Change the resolution/dpi to 72, and enter 851 pixels in the width field, and 315 pixels for the height. Position the cropping arrows where you want to compose the image and click the "Enter" button to save your file (typically as a .jpg) for uploading to Facebook. Hover your mouse over the faint camera icon in the upper left corner of your current cover photo and click on "Add Cover Photo" (if you've never done so) or "Update Cover Photo" if you'd like to change your current one. Then, select the appropriate link: "Choose From My Photos" (if your photo already is on Facebook in your Photos section) or "Upload Photo." Select the desired photo. A good Facebook cover photo makes a statement about you or your life. It should be an original image that you took or created yourself. Some people, however, prefer to display images created by others as their Facebook cover photos, and that's fine, too as long as you don't violate copyright law. Many stock photo sites offer images free for the taking. Most of these sites also can offer inspiration for ideas to create your own cover photos. Some offer custom cover creation tools that let you edit your images to fit the Timeline layout.